Thanks to Antoine for the heads up. 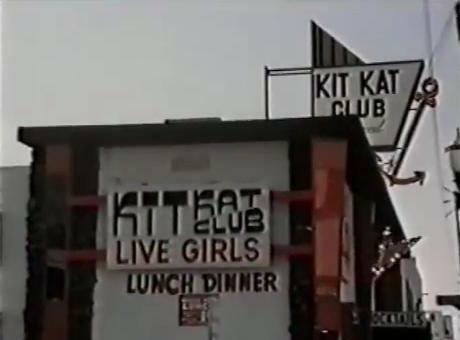 The Kit Kat Club was featured in an episode of Barnaby Jones in 1976. The actor who played the guy with the horse head from The Godfather is in this as well. I wonder if Barnaby fired off his old peacemaker at the end of the episode as he solved the case? He always did. I stumbled on an old episode of the TV show Barnaby Jones from 1976 and to my shock the Kit Kat Club in Hollywood was in it. A very good shot of the outside and inside. It was easy to find searching the Hollywood Welding on Google (which is seen in the background). Its still there. Kit Kat Club was on Santa Monica and N Hudson Ave. A Honda car dealership is there now.